The Setup - Jules Birkby · Hey! As part of an ongoing series where we ask industry professionals what they use to get the job done, we speak to Jules, a hand-lettering artist known as Now Then, Sunshine. I'm a freelance copywriter by trade, but embarked on a slight career change into the world of hand-lettering when I finished maternity leave last May. I'm in the process of setting up a business called Now Then, Sunshine, selling cards and wall art, although it's still in the very early stages. At the moment I'm working on a series of hand-lettered, screen-printed inspirational quotes by women for the Empowering Women With Technology day at Leeds International Festival. I'm also a Mum to two boisterous, bonkers children aged almost-four and almost-two, so I fit in the above when I can! For writing I use a laptop that's sadly on its last legs, having been inadvertently thrown down the stairs by my husband. 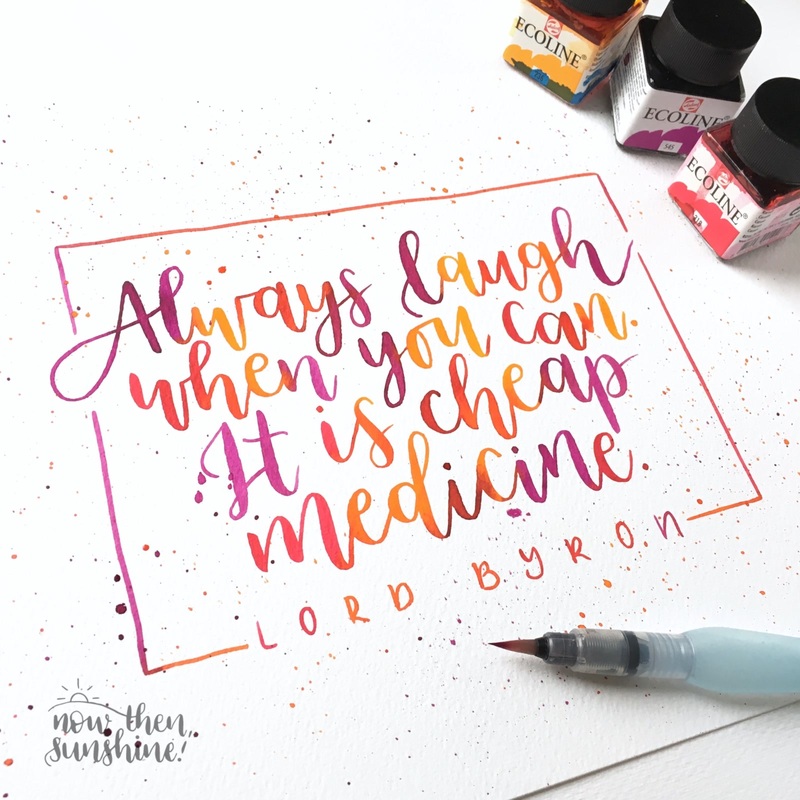 For hand-lettering I use watercolour inks, paintbrushes, brush pens and enough paper to kill a small forest. Illustrator and Photoshop for designy things; Word for writing. A light, lofty space somewhere with a sea view where I could write, draw, paint and watch the world go by. There would also be a record player with a huuuge record collection, lots of shelves for all my art paraphernalia and someone to bring me regular cups of tea. Jules Birkby on 28th April 2017.